During 2014, a trial at the Grober Young Animal Development Centre (GYADC) focused on the advancement of automating individual calf feeding systems using Förster Technic Calf Rail technology. This was the second year using the Förster Technic Calf Rail at the GYADC, where an accelerated ten week feeding program of 12.5L/day, over five meals per day was the study purpose. Ten calves were housed individually and fed Grober Excel 26/18 milk replacer. 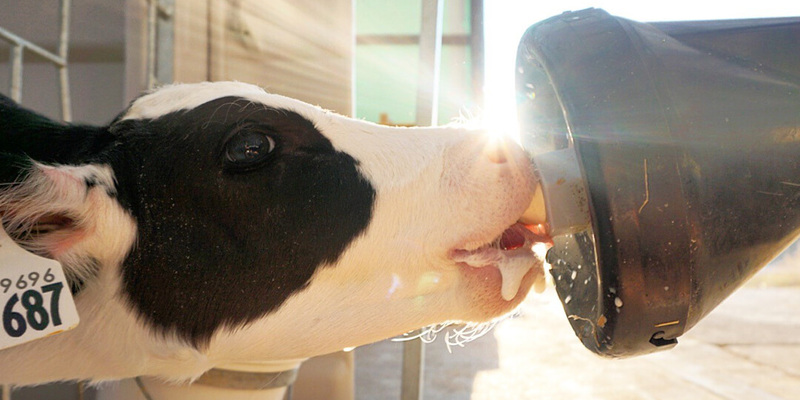 The Calf Rail delivers milk directly to each individually housed calf, which allows for an individual housing management style of calf rearing to be maintained while using automated feeding technology. Group housed calves are influenced by one another to eat more solid feed; this is a social effect of learning and behavioural mimicry. This was proven again in our trials, where group housed calves ate more grain, sooner than did calves raised individually; yet, the accelerated feeding program did not suppress overall grain intake for individuals (Table 1). Despite having the option to consume more milk, calves on the Calf Rail drank the same amount of milk as their grouped counterparts. 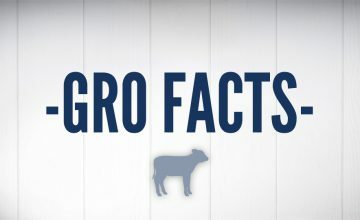 However, individuals tended to have improved overall feed to gain ratio (1.96 versus 2.15 for grouped calves, p=0.0833), though each housing group had equivalent weight gains up to weaning. During weaning, individual calves had a small reduction in weight gain, although this was compensated for in the following week. A possible solution for a more stabilized weight gain at weaning is to extend the ten day weaning phase, which warrants future research at the GYADC with the Calf Rail system. 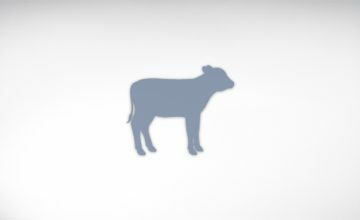 Calf nutrition and management will continue to evolve alongside new technology to improve calf care and invested research will improve strategies for optimizing the different developmental and nutritional needs of the varying phases of neonatal life to adulthood. The GYADC will return in 2015 at the front lines of young animal innovations with new trials to broaden our understanding and to improve upon neonatal care and nutrition recommendations. Special mention to Canada’s Outdoor Farm show for being an ever-ready resource for our needs, Agri-Plastics Mfg. for providing calf housing supplies, Brodie Ag & Industrial Inc. for providing the Vertablend mixer, Shur-Gain for providing lamb creep feed, and Darcroft Farms Ltd. for providing hay, equipment and labor support.